Cards for the men in your life are often a little tricky, far harder than a card for a female. I decided to play with Gorgeous Grunge, which suits itself perfectly to a masuline card and for this one, I decided on three colours. I made a card blank with Tangarine Tango, a mat with Basic Black and a top layer with Crumb Cake cardstock. 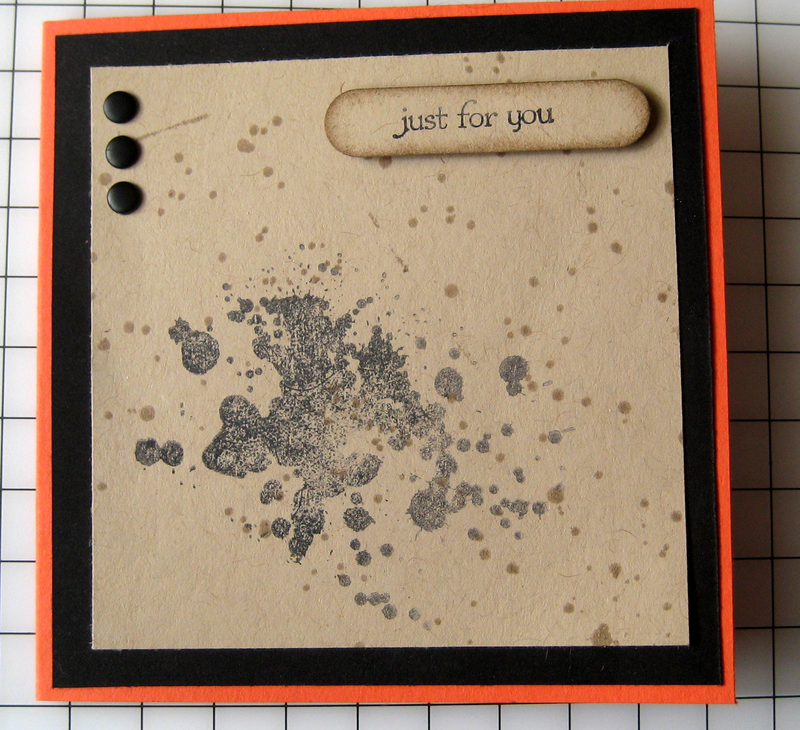 I took the first “spotty” stamp from Gorgeous Grunge and stamped with Crumb Cake ink, before overlaying the “splodge” stamp in Black Stazon which I stamped off first. A Teeny Tiny sentiment, punched with the word window and inked in Crumb Cake, plus three black Candy Dots finished the card. It really was quick and easy to do, and I love it! If you want to order any of the items I have used, or have any questions, please do not hesitate to get in touch.